I re-created my duet from the Edinburgh Fringe Festival 2015 (squared) on two new couples for the ARDT Spring 2016 concert. I incorporated sculptures by Craig Wedderspoon as set design and further refined movement phrases inspired by Sol LeWitt's Wall Drawings series. 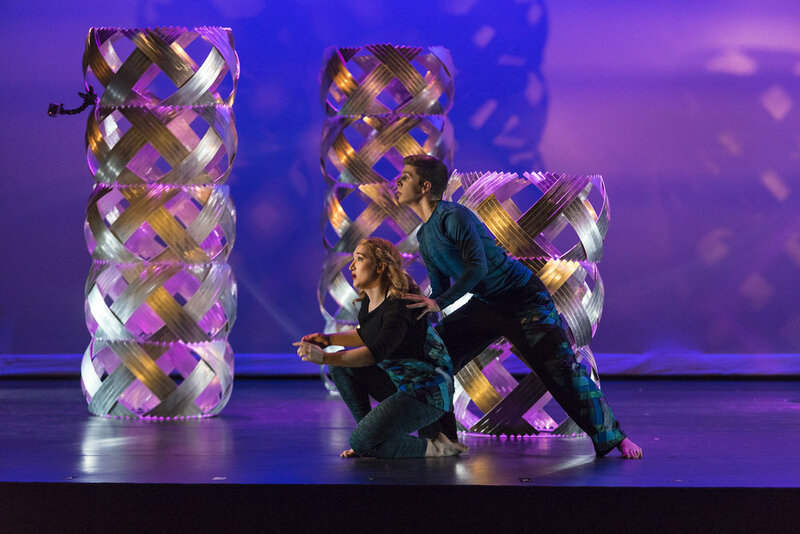 The new dance was titled "convergence" and included new spatial organization and movement phrases as co-created with the four new cast members.